In recent years, many major medical device manufacturers have set up shop in Mexico. According to numbers from the Instituto Nacional de Estadística y Geografía (INEGI), the total aggregate production value of the medical device manufacturing industry was indeed expected to grow from $8 billion in 2011 to $15 billion by 2020. There are many reasons for the surge noted by INEGI. For starters, Mexico offers very competitive skilled labor costs, which in turn can support higher profit margins than equivalent U.S.-based operations. Moreover, the proximity of Mexico to the U.S. and Canada is even more important in medical device manufacturing than it is in some of the country's other major industries, such as automotive and electronics. The U.S. and Canada are in fact the world's two largest importers of medical equipment, consuming more than 90 percent of Mexico's medical exports between them. The U.S. Department of Commerce has estimated that the Americas will continue to be by far the most lucrative market for medical equipment for the rest of this decade. At $208 billion in value by 2020, it will be nearly as large as the rest of the world combined ($227 billion). Mexico is the perfect location for the numerous manufacturers serving this vast local market because of its nearshore advantages that accommodate skilled labor, shorter travel time to accessible markets, safe environments, and supply-chain networks. Even interior sites such as Empalme and Guyamas, Sonora, are only a few hundred miles from California and Arizona. Access to highways as well as nearby international airports and deep-water seaports make it simpler for manufacturers to transport their devices from Mexico to target markets. JPMorgan Chase has pegged the total shipping costs of goods from Mexico at less than half of those for China. Mexico is party to numerous free trade agreements, including NAFTA, which removes duties on medical components and finished goods passing between Mexico, the U.S. and Canada. This relief is a major cost-saver for manufacturers. For example, the 2.3 percent medical device excise tax imposed by the Affordable Care Act in the U.S. has spurred some manufacturers to relocate to Mexico to trim expenses. Medical device manufacturing in Mexico is concentrated in a handful of states such as Baja California, Chihuahua and Sonora. These locations have sites that integrate Class A industrial spaces, various support services (e.g., import/export management and accounting and taxes) and legal frameworks. Manufacturing Communities incorporate these benefits, and provide economies of scale for every type of manufacturing operation. 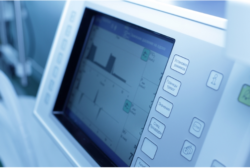 With everything included on site, medical device companies can confidently scale their cost-effective operations. A strong education system, history of talented worker experience in high-tech manufacturing, and relatively low wages for manufacturing are all additional advantages of nearshoring to Mexico. There are many technical trade schools and universities close to major medical device manufacturing hubs, which help develop worker skills and establish a connection to local industry. Mexico has become even more competitive over time with wages, in part due to a declining peso versus the U.S. dollar and the rising cost of doing business in China. A chart put together by Business Insider revealed that while Mexico had higher wages than both China and Brazil until 2005, they dropped below both countries in 2014. Paired with the economic advantages of Mexico's free trade deals, transportation infrastructure and proximity to the U.S. and Canada, lower wages for high skilled labor makes medical device manufacturing a more worthwhile venture throughout the country. Just as real estate is first and foremost about location, the medical device industry in Mexico is greatly enhanced by the close proximity to several of its largest markets. 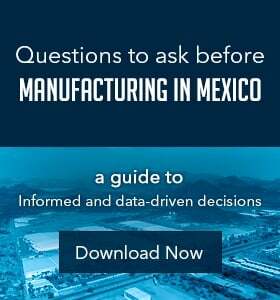 Manufacturers have plenty to gain from establishing operations in Mexico, thanks to the easy and relatively inexpensive movement of goods throughout North America. The country's labor costs and skilled workforce also make it a magnet for manufacturing investment. As one of the fastest growing manufacturing industries in the country, Medical device manufacturing in Mexico will see a formidable future.